With new technological advances being made at every moment, it’s hard to believe that email is still considered one of the most effective marketing channels to date. It has held its own over the years with an average ROI of 3800%. Statistics like this mean it’s essential for your legal firm to join the email game. Sending regular emails to your existing clients is a great start. By sending the right content at the right time, you’ll build trust, confidence and brand awareness that will nurture your clients to become advocates of your firm. But what type of content should you be sending to accomplish all this? We’ve got some ideas to get you started. Although every law firm handles in-person introductions differently, a welcome email should be a key piece of this step. It can be sent either before or after the first in-person meeting. If you choose to send it beforehand, you may want to include what the client can expect during the first consultation and what materials they should bring along with them. If you choose to send this email it after the fact, summarizing your conversation and the steps to come can be helpful. First meetings are often overwhelming for clients, so getting a follow-up shortly after can make them feel more comfortable. Keep in mind these emails should never be automated; they need to be customized for each individual and sent by the actual lawyer they’re working with. This will help to deepen the connection between lawyers and clients early in the process. What better way to establish your credibility than to show off your firm’s thought leadership? Whether you choose to share blog posts, infographics, eBooks, or something entirely different, just make sure the content is relevant and helpful to your target audience. Thought leadership pieces are innately shareable, so disseminating them to the people who already know and trust your brand will empower them to become advocates of your firm. Receiving this content via email means even less friction on the path to advocacy; they’re only one “Forward” button away from boosting your brand awareness and credibility. If any changes in law occur that may affect your clients, it’s a perfect opportunity to initiate an email touchpoint. Be sure to include your own comments on the new law in order to add value and let clients know how it may impact them. If you’re the first to notify them of legal updates, it’ll boost their confidence in your firm’s credibility and capability. The key to this type of email is to have your email lists well-segmented by case type – especially if your firm practices various types of law. You wouldn’t want an email about changes in copyright law to go to a client who has hired your firm to take care of their divorce case. Informing current clients of any additions to your legal team is a great way to keep them in the loop while simultaneously demonstrating growth. A well-executed new team member email will include an easily digestible bio and a professional headshot. Clients should be able to learn about this person’s prior experience and what they’ll be doing in their new role at your company in under two minutes. Even if a client won’t be working with this lawyer directly, this type of email can make them feel like a valued part of the firm “family” and help them to understand the full breadth of legal counsel available to them. 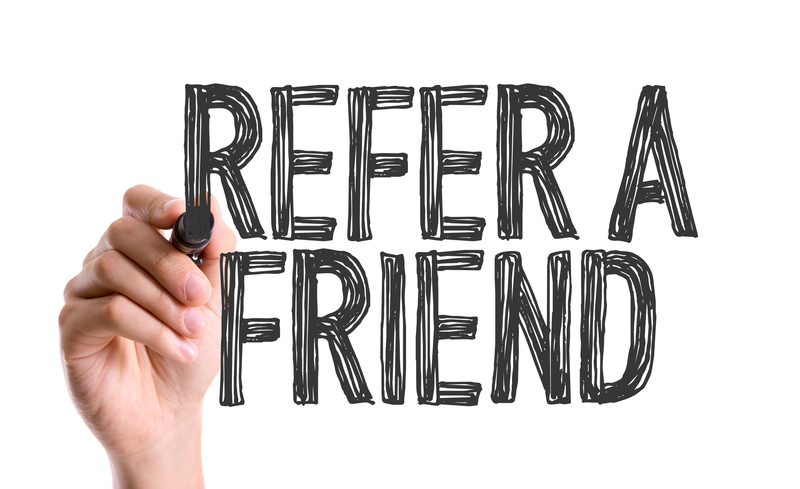 92% of people trust referrals from people they know. This is why referrals are so coveted in the legal industry (and many others); they’re the warmest type of lead. There are endless ways to incentivize clients to recommend your services to others and email is an essential piece to the puzzle. Reminder emails about your referral program and rewards can keep clients engaged and excited, while keeping your firm top of mind. Whether your referral incentives are simple or complex, sending regular communication about them is essential to a successful referral program. No client wants to work with a legal firm that’s oblivious to the social trends and local issues going on around them. The local landscape is often just as important as the bigger picture when it comes to shining in the courtroom. Sending impactful local news stories to your clients will show that your firm has its thumb on the pulse of the surrounding community. We recommend taking this one step further by including commentary on the stories you send to add even more value for the client. The nurturing process shouldn’t stop once someone becomes a client. The right emails sent at the right time can boost clients’ confidence in your abilities, make them feel closer to your brand and even turn them into advocates of your firm. Just make sure to effectively track your email results to find out which types of content are working best for your company. Overt time, you’ll become an email marketing force to be reckoned with!